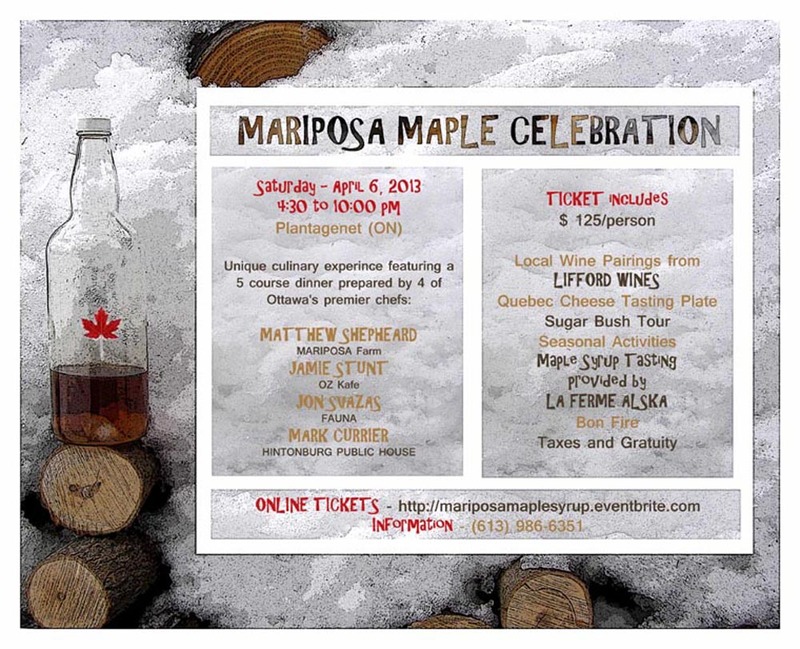 See the poster below for details and visit http://mariposamaplesyrup.eventbrite.com/ to get your tickets. Seating is limited, so hurry up! This is food and wine appreciation in The Great White North!